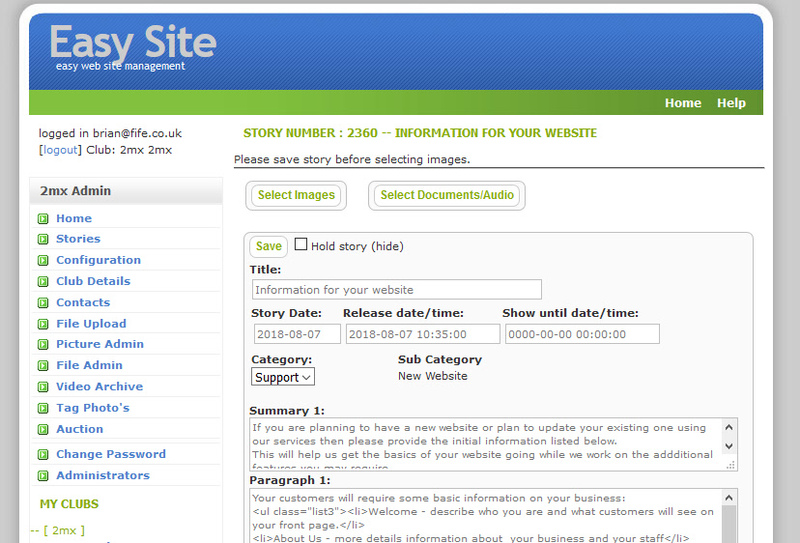 Uploading information and including pictures into the stories can be done with a few clicks. Recently we have updated our adminstration system into a single portal. This makes it simpler if you manage or have multiple web sites. We have over 40 websites using the eazy-site Content Management System (CMS). The pictures below show screenshot of the user interface for amending story and selecting pictures.